A computer is a programmable machine designed to perform arithmetic and logical operations automatically and sequentially on the input given by the user and gives the desired output after processing. Computer components are divided into two major categories namely hardware and software. Hardware is the machine itself and its connected devices such as monitor, keyboard, mouse etc. Software’s are the set of programs that make use of hardware for performing various functions. The characteristics of computers that have made them so powerful and universally useful are speed, accuracy, diligence, versatility and storage capacity. Let us discuss them briefly. Speed: Computers work at an incredible speed. A powerful computer is capable of performing about 3-4 million simple instructions per second. Accuracy: In addition to being fast, computers are also accurate. Errors that may occur can almost always be attributed to human error (inaccurate data, poorly designed system or faulty instructions/programs written by the programmer). Diligence: Unlike human beings, computers are highly consistent. They do not suffer from human traits of boredom and tiredness resulting in lack of concentration. Computers, therefore, are better than human beings in performing voluminous and repetitive jobs. Versatility: Computers are versatile machines and are capable of performing any task as long as it can be broken down into a series of logical steps. The presence of computers can be seen in almost every sphere – Railway/Air reservation, Banks, Hotels, Weather forecasting and many more. Storage Capacity :Today’s computers can store large volumes of data. A piece of information once recorded (or stored) in the computer, can never be forgotten and can be retrieved almost instantaneously. No IQ -A computer is a machine and has no intelligence of its own to perform any task. Each and every instruction has to be given to the computer. A computer can not take any decision on its own. Dependency-It can perform function as instructed by user, so it is fully dependent on human being. Environment-The operating environment of computer should be dust-free and suitable to it. No Feeling-Computer has no feeling or emotions. It cannot make judgement based on feeling, taste, experience and knowledge unlike a human being. CPU is considered as the brain of the computer. CPU performs all types of data processing operations. It stores data, intermediate results and instructions (program). It controls the operations of all parts of computer. Output unit consists of devices with the help of which we get the information from computer. This unit is a link between computer and users. Output devices translate the computer's output into the form understandable by users. It stores data, intermediate result and instructions (program). It controls the operations of all parts of computer. CPU itself has the following three components. This unit can store instructions, data and intermediate results. This unit supplies information to the other units of the computer when needed. It is also known as internal storage unit or main memory or primary storage or Random access memory(RAM). It stores all the data to be processed and the instructions required for processing. This unit controls the operations of all parts of computer. It does not carry out any actual data processing operations. It obtains the instructions from the memory, interprets them and directs the operation of the computer. Arithmetic Section-Function of Arithmetic section is to perform arithmetic operations like addition, subtraction, multiplication and division. All complex operations are done by making repetitive use of above operations. Function of logic section is to perform logic operations such as comparing, selecting, matching and merging of data. This unit contains devices with the help of which we enter data into computer. This unit makes link between user and computer. The input devices translate the human being information into the form understandable by computer. Most common and very popular input device is keyboard. The keyboard helps in inputting the data to the computer. The layout of the keyboard is like that of traditional typewriter, although there are some additional keys provided for performing some additional functions. Typing Keys-These keys include the letter keys (A-Z) and digits keys (0-9) which generally give same layout as that of typewriters. Numeric Keypad- It is used to enter numeric data or cursor movement. Generally, it consists of a set of 17 keys that are laid out in the same configuration used by most adding machine and calculators. Function Keys-The twelve functions keys are present on the keyboard. These are arranged in a row along the top of the keyboard. Each function key has unique meaning and is used for some specific purpose. Control keys-These keys provide cursor and screen control. It includes four directional arrow key. Control keys also include Home, End, Insert, Delete, Page Up, Page Down, Control(Ctrl), Alternate(Alt), Escape(Esc). Special Purpose Keys-Keyboard also contains some special purpose keys such as Enter, Shift, Caps Lock, Num Lock, Space bar, Tab, and Print Screen. Mouse is most popular Pointing device. It is a very famous cursor-control device. It is a small palm size box with a round ball at its base which senses the movement of mouse and sends corresponding signals to CPU on pressing the buttons. Generally, it has two buttons called left and right button and scroll bar is present at the mid. Mouse can be used to control the position of cursor on screen, but it cannot be used to enter text into the computer. Joystick is also a pointing device, which is used to move cursor position on a monitor screen. It is a stick having a spherical ball at its both lower and upper ends. The lower spherical ball moves in a socket. The joystick can be moved in all four directions. The function of joystick is similar to that of a mouse. It is mainly used in Computer Aided Designing (CAD) and playing computer games. Light pen is a pointing device, which is similar to a pen. It is used to select a displayed menu item or draw pictures on the monitor screen. It consists of a photocell and an optical system placed in a small tube. When light pen's tip is moved over the monitor screen and pen button is pressed, its photocell sensing element, detects the screen location and sends the corresponding signal to the CPU. Track ball is an input device that is mostly used in notebook or laptop computer, instead of a mouse. This is a ball, which is half inserted and by moving fingers on ball, pointer can be moved. Since the whole device is not moved, a track ball requires less space than a mouse. A track ball comes in various shapes like a ball, a button and a square. Scanner is an input device, which works more like a photocopy machine. It is used when some information is available on a paper and it is to be transferred to the hard disc of the computer for further manipulation. Scanner captures images from the source which are then converted into the digital form that can be stored on the disc. These images can be edited before they are printed. Digitizer is an input device, which converts analog information into a digital form. Digitizer can convert a signal from the television camera into a series of numbers that could be stored in a computer. They can be used by the computer to create a picture of whatever the camera had been pointed at. Digitizer is also known as Tablet or Graphics Tablet because it converts graphics and pictorial data into binary inputs. A graphic tablet as digitizer is used for doing fine works of drawing and images manipulation applications. Microphone is an input device to input sound that is then stored in digital form. The microphone is used for various applications like adding sound to a multimedia presentation or for mixing music. MICR input device is generally used in banks because of a large number of cheques to be processed everyday. The bank's code number and cheque number are printed on the cheques with a special type of ink that contains particles of magnetic material that are machine readable. This reading process is called Magnetic Ink Character Recognition (MICR). The main advantage of MICR is that it is fast and less error prone. OCR is an input device used to read a printed text. OCR scans text optically character by character, converts them into a machine readable code and stores the text on the system memory. Bar Code Reader is a device used for reading bar coded data (data in form of light and dark lines). Bar coded data is generally used in labelling goods, numbering the books, etc. It may be a hand-held scanner or may be embedded in a stationary scanner. Bar Code Reader scans a bar code image, converts it into an alphanumeric value, which is then fed to the computer to which bar code reader is connected. OMR is a special type of optical scanner used to recognize the type of mark made by pen or pencil. It is used where one out of a few alternatives is to be selected and marked. It is specially used for checking the answer sheets of examinations having multiple choice questions. Monitor commonly called as Visual Display Unit (VDU) is the main output device of a computer. It forms images from tiny dots, called pixels, that are arranged in a rectangular form. The sharpness of the image depends upon the number of the pixels. In the CRT, display is made up of small picture elements called pixels for short. The smaller the pixels, the better the image clarity or resolution. It takes more than one illuminated pixel to form whole character, such as the letter 'e' in the word help. A finite number of characters can be displayed on a screen at once. The screen can be divided into a series of character boxes - fixed location on the screen where a standard character can be placed. Most screens are capable of displaying 80 characters of data horizontally and 25 lines vertically. The flat-panel display refers to a class of video devices that have reduced volume, weight and power requirement compared to the CRT. You can hang them on walls or wear them on your wrists. Current uses for flat-panel displays include calculators, video games, monitors, laptop computer, graphics display. Emissive Displays - The emissive displays are devices that convert electrical energy into light. Example are plasma panel and LED (Light-Emitting Diodes). Printer is the most important output device, which is used to print information on paper. The printers that print the characters by striking against the ribbon and onto the paper, are called impact printers. Character Printers are printers, which print one character at a time. In the market, one of the most popular printer is Dot Matrix Printer because of their ease of printing features and economical price. Each character printed is in form of pattern of Dot's and head consists of a Matrix of Pins of size(5*7, 7*9, 9*7 or 9*9) which comes out to form a character that is why it is called Dot Matrix Printer. Head is lying on a wheel and Pins corresponding to characters are like petals of Daisy (flower name) that is why it is called Daisy Wheel Printer. These printers are generally used for word-processing in offices which require a few letters to be send here and there with very nice quality representation. The fonts of character can be easily changed. Line printers are printers, which print one line at a time. This printer is like a drum in shape so it called drum printer. The surface of drum is divided into number of tracks. Total tracks are equal to size of paper, i.e., for a paper width of 132 characters, Drum will have 132 tracks. A character set is embossed on track. The different character sets available in market are 48 character set, 64 and 96 characters set. One rotation of drum prints one line. Drum Printers are fast in speed and prints between 300 to 2000 lines per minute. In this printer, chain of character sets are used so it called Chain Printers. A standard character set may have 48, 64, 96 characters. Do not have the ability to print any shape of characters. • Faster than impact printers. • They are not noisy. • Support many fonts and different character size. These are non-impact page printers. They use laser lights to produce the dots needed to form the characters to be printed on a page. • Very high quality output. • Gives good graphics quality. • Supports many fonts and different character sizes. • Cannot be used to produce multiple copies of a document in a single printing. Inkjet printers are non-impact character printers based on a relatively new technology. They print characters by spraying small drops of ink onto paper. Inkjet printers produce high quality output with presentable features. They make less noise because no hammering is done and these have many styles of printing modes available. Colour printing is also possible. Some models of Inkjet printers can produce multiple copies of printing also. A memory is just like a human brain. It is used to store data and instructions. Computer memory is the storage space in computer where data is to be processed and instructions required for processing are stored. The memory is divided into large number of small parts. Each part is called cell. Each location or cell has a unique address, which varies from zero to memory size minus one. For example, if computer has 64k words, then this memory unit has 64 * 1024=65536 memory location. The address of these locations varies from 0 to 65535. • Cache memory is faster than main memory. • It consumes less access time as compared to main memory. • It stores the program that can be executed within a short period of time. • It stores data for temporary use. • Cache memory has limited capacity. Primary memory holds only those data and instructions on which computer is currently working. It has limited capacity and data gets lost when power is switched off. It is generally made up of semiconductor device. These memories are not as fast as registers. The data and instructions required to be processed earlier reside in main memory. It is divided into two subcategories RAM and ROM. • These are semiconductor memories. • It is known as main memory. • Data is lost in case power is switched off. • It is working memory of the computer. • Faster than secondary memories. • A computer cannot run without primary memory. This type of memory is also known as external memory or non-volatile. It is slower than main memory. These are used for storing Data/Information permanently. CPU directly does not access these memories, instead they are accessed via input-output routines. Contents of secondary memories are first transferred to main memory and then CPU can access it. For example, disk, CD-ROM, DVD, etc. • These are magnetic and optical memories. • It is known as backup memory. • It is non-volatile memory. • Data is permanently stored even if power is switched off. • It is used for storage of the data in the computer. • Computer may run without secondary memory. • Slower than primary memories. RAM is volatile, i.e., data stored in it is lost when we switch off the computer or if there is a power failure. Hence, a backup uninterruptible power system (UPS) is often used with computers. RAM is small, both in terms of its physical size and in the amount of data it can hold. A ROM stores such instructions as are required to start computer when electricity is first turned on, this operation is referred to as bootstrap. ROM chip are not only used in the computer but also in other electronic items like washing machine and microwave oven. The motherboard serves as a single platform to connect all of the parts of a computer together. A motherboard connects CPU, memory, hard drives, optical drives, video card, sound card and other ports and expansion cards directly or via cables. It can be considered as the backbone of a computer. • Motherboard varies greatly in supporting various types of components. • Normally, a motherboard supports a single type of CPU and few types of memories. • Video Cards, Hard disks, Sound Cards have to be compatible with motherboard to function properly. • Motherboards, cases and power supplies must be compatible to work properly together. Motherboard contains ports to connect all of the internal components. It provides a single socket for CPU. For memory, normally one or more slots are available. Motherboards provide ports to attach floppy drive, hard drive and optical drives via ribbon cables. Motherboard carries fans and a special port designed for power supply. There are peripheral card slots on front of the motherboard using which video cards, sound cards and other expansion cards can be connected to motherboard. On left side, motherboard carries a number of ports. These ports connect monitor, printer, mouse, keyboard, speaker, network cables and all to the motherboard. Motherboards also provide USB ports, which allow compatible devices to be connected in plug-in/plug-out fashion. For example, pen drive, digital cameras, etc. • It is the amount of data that can be stored in the storage unit. • The storage capacity are expressed in terms of Bytes. 1 Bit (Binary Digit) A binary digit is logical 0 & 1 representing a passive or an active state of a component in an electric circuit. 2 Nibble A group of 4 bits is called nibble. 3 Byte A group of 8 bits is called byte. A byte is the smallest unit, which can represent a data item or a character. 4 Word A computer word like a byte, is a group of fixed number of bits processed as a unit which varies from computer to computer but is fixed for each computer. The length of a computer word is called word-size or word length and it may be as small as 8 bits or may be as long as 96 bits. A computer stores the information in the form of the computer words. • Mutually dependent. Both of them must work together to make computer produce a useful output. • Software cannot be utilized without supporting hardware. • Hardware without set of programs to operate upon cannot be utilized and is useless. • To get a particular job done on the computer, relevant software should be loaded into the hardware. • Hardware is a one time expense. • Software development is very expensive and is a continuing expense. • Different softwares can be loaded on a hardware to run different jobs. • A software acts as an interface between the user and the hardware. • If hardware is the 'heart' of a computer system, then software is its 'soul'. Both are complimentary to each other. Software is a set of programs, which are designed to perform a well-defined function. A program is a sequence of instructions written to solve a particular problem. The system software is a collection of programs designed to operate, control and extend the processing capabilities of the computer itself. System software are generally prepared by computer manufacturers. These softwares comprise of programs written in low level languages which interact with the hardware at a very basic level. System software serves as the interface between hardware and the end users. Some examples of system software are Operating System, Compilers, Interpreter, Assemblers, etc. • Generally written in low-level language. Application softwares are the softwares that are designed to satisfy a particular need of a particular environment. All softwares prepared by us in the computer lab can come under the category of Application Software. Application software may consist of a single program, such as a Microsoft's notepad for writing and editing simple text. It may also consist of a collection of programs, often called a software package, which work together to accomplish a task, such as a spreadsheet package. • It is close to user. • It is easy to design. • Generally written in high-level language. • Easy to manipulate and use. • Bigger in size and requires large storage space. When we type some letters or words, the computer translates them in numbers as computers can understand only numbers. A computer can understand positional number system where there are only a few symbols called digits and these symbols represent different values depending on the position they occupy in the number. • The base of the number system (where base is defined as the total number of digits available in the number system). The number system that we use in our day-to-day life is the decimal number system. Decimal number system has base 10 as it uses 10 digits from 0 to 9. In decimal number system, the successive positions to the left of the decimal point represent units, tens, hundreds, thousands and so on. As a computer programmer or an IT professional, you should understand the following number systems, which are frequently used in computers. • Uses two digits, 0 and 1. • Also called base 2 number system. • Each position in a binary number represents a 0 power of the base (2). Example, 20. • Last position in a binary number represents a x power of the base (2). Example, 2x where x represents the last position - 1. • Uses eight digits: 0, 1, 2, 3, 4, 5, 6, 7. • Also called base 8 number system. • Each position in a octal number represents a 0 power of the base (8). Example, 80. • Last position in a octal number represents a x power of the base (8). Example, 8x where x represents the last position - 1. • Uses 10 digits and 6 letters: 0, 1, 2, 3, 4, 5, 6, 7, 8, 9, A, B, C, D, E, F.
• Letters represent numbers starting from 10. A = 10. B = 11, C = 12, D = 13, E = 14, F = 15. • Also called base 16 number system. • Each position in a hexadecimal number represents a 0 power of the base (16). Example, 160. • Last position in a hexadecimal number represents a x power of the base (16). Example, 16x where x represents the last position - 1. 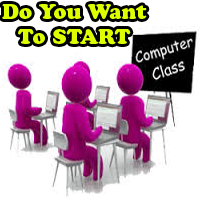 • An operating system is a program that acts as an interface between the software and the computer hardware. • It is an integration set of specialised programs that are used to manage overall resources and operations of the computer. • It is a specialised software that controls and monitors the execution of all other programs that reside in the computer, including application programs and other system software. • Making a computer system convenient to use in an efficient manner. • To hide the details of the hardware resources from the users. • To provide users a convenient interface to use the computer system. • To act as an intermediary between the hardware and its users and making it easier for the users to access and use other resources. • Manage the resources of a computer system. • Keep track of who is using which resource, granting resource requests, according for resource using and mediating conflicting requests from different programs and users. • The efficient and fair sharing of resources among users and programs. • Memory Management -- It keeps track of primary memory, i.e., what parts of it are in use by whom, what parts are not in use, etc. Allocates the memory when the process or program requests it. • Processor Management -- Allocates the processor (CPU) to a process. Deallocate processor when processor is no longer required. • Device Management -- Keeps tracks of all devices. This is also called I/O controller. Decides which process gets the device when and for how much time. • File Management -- Allocates the resources. Deallocates the resource. Decides who gets the resources. • Security -- By means of passwords & similar other techniques, preventing unauthorized access to programs & data. 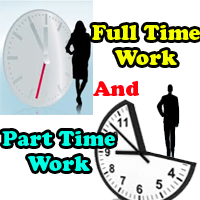 • Job accounting -- Keeping track of time & resources used by various jobs and/or users. • Control over system performance -- Recording delays between requests for a service & from the system. • Interaction with the operators -- The interaction may take place via the console of the computer in the form of instructions. Operating System acknowledges the same, do the corresponding action and inform the operation by a display screen. • Error-detecting aids -- Production of dumps, traces, error messages and other debugging and error-detecting methods. • Coordination between other software and users -- Coordination and assignment of compilers, interpreters, assemblers and other software to the various users of the computer systems. • Internet is a world-wide/global system of interconnected computer networks. • Every computer in internet is identified by a unique IP address. • IP Address is a unique set of numbers (such as 110.22.33.114) which identifies a computer location. • A special computer DNS (Domain Name Server) is used to give name to the IP Address so that user can locate a computer by a name. 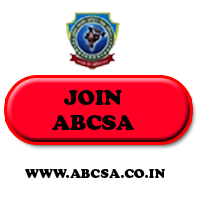 • For example, a DNS server will resolve a name http://www.abcsa.co.in to a particular IP address to uniquely identify the computer on which this website is hosted. • Internet is accessible to every user all over the world. • Intranet is system in which multiple PCs are networked to be connected to each other. • PCs in intranet are not available to the world outside of the intranet. • Usually each company or organization has their own Intranet network and members/employees of that company can access the computers in their intranet. • Each computer in Intranet is also identified by a IP Address, which is unique among the computers in that Intranet. • Intranet uses the internet protocols such as TCP/IP and FTP. • Intranet sites are accessible via web browser in similar way as websites in internet. But only members of Intranet network can access intranet hosted sites. • In Intranet, own instant messengers can be used as similar to yahoo messenger/gtalk over the internet. • Internet is general to PCs all over the world where Intranet is specific to few PCs. • Internet is wider access and provides a better access to websites to large population whereas Intranet is restricted. • Internet is not as safe as Intranet as Intranet can be safely privatised as per the need.